Former presidents Bill Clinton and George H.W. Bush drive to the first tee at the Cape Arundel Golf Course in Kennebunkport in June 2005. 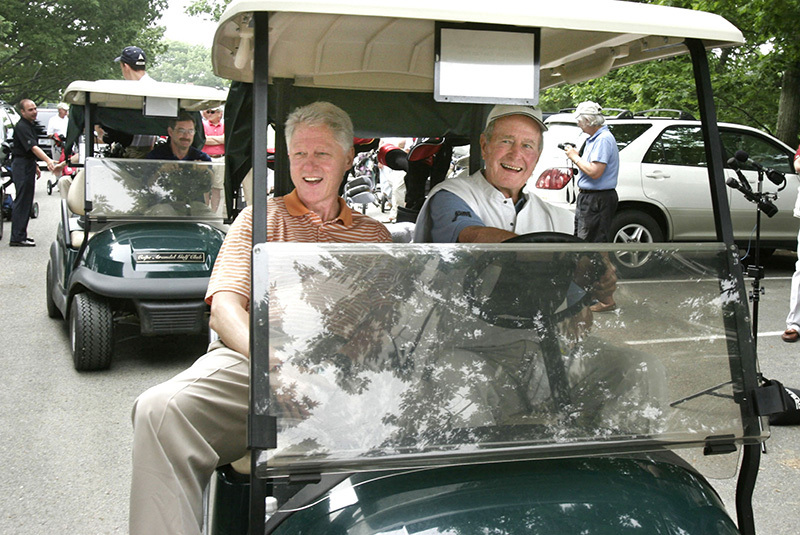 Staff photo by Gregory Rec — Tuesday, June 28, 2005 — Former presidents Bill Clinton and George H.W. Bush drive to the first tee at the Cape Arundel Golf Course in Kennebunkport on Tuesday. Clinton was visiting the Bush family while in town for a book signing.